Complete your outfit with our Podium Cricket Pant. Featuring a comfort fit elastic waist and two side pockets for added convenience, plus wide turn up at the leg for easy alteration. Features: UPF Sun Protection, UPF Compliant. First class cricket pants. Detais: 100% Polyester, 230gsm fabric, Front pintucks, Complies with standard AUS/NZS4399:1996 for UPF protection UPF 50+. Colours: White. Sizes: 8 | 10 | 12 | 14. 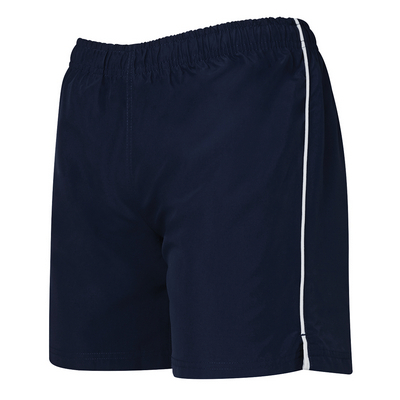 Classic style and fit sports short features contrast piping down side seams. Classic sports shorts. Detais: 100% Polyester for durability, 125gsm satin backed microfibre knit, Side splits at leg opening, Elastic waist, Cut to above the knee, with two side pockets and one back pocket. Colours: Black/White | Bottle/Gold | Navy/White | Navy/Gold | Royal/White. Sizes: 4 | 6 | 8 | 10 | 12 | 14. Great for athletic wear, these classic fit shorts offer the right balance of comfort and coverage, allowing you to focus on your training. Versatile sports shorts. Detais: 100% Polyester for durability, 125gsm satin backed microfibre fabric, Two slant side pockets and one hip pocket with zip closure, Side splits at leg opening, Elastic waist, Above knee cut. Colours: Black | Bottle | Grey | Navy | Royal. Sizes: 2 | 4 | 6 | 8 | 10 | 12 | 14. Description: Large open main compartment with drawstring closure. Color blocked accents and zippered front pocket. Our basketball apparel is great for one-on-one training or team uniforms. Shorts are fully lined and feature an elastic waist to ensure a comfortable fit. Shoot hoops in style. Detais: 100% Polyester for durability, 140gsm mesh fabric. Colours: Black | Bottle | Navy | Royal | Red. Sizes: 6 | 8 | 10 | 12 | 14. When the occasion calls for enhanced moveability, these classic fit sports shorts are the perfect choice. A great choice from track to field. Detais: 100% Polyester for durability, 125gsm satin backed microfibre fabric, Polyester mesh lining, Two slant side pockets and one hip pocket with zip closure, Side splits at leg opening, Elastic waist, Mid-thigh length. Colours: Black | Navy. Sizes: 6 | 8 | 10 | 12 | 14. Designed to complement all Podium team jackets, these classic fit sports pants are the perfect option for warm ups and cool downs. Selected colourways feature contrast piping down side seams. Relaxed comfort. Detais: 100% Polyester, 125gsm satin backed microfibre fabric, Fully lined with mesh and taffeta, Two front welt pockets with stitch detailing, Zip leg openings, Elastic waist. Colours: Black/White | Black | Dk Red/White | Bottle | Bottle/Gold | Grey | Navy/Dk Red | Navy/White | Navy | Navy/Gold | Royal. Sizes: 2 | 4 | 6 | 8 | 10 | 12 | 14. When the occasion calls for enhanced moveability, these classic fit sports shorts are the perfect choice. A great choice from track to field. Detais: 100% Polyester for durability, 125gsm satin backed microfibre fabric, Polyester mesh lining, Two slant side pockets and one hip pocket with zip closure, Side splits at leg opening, Elastic waist, Mid-thigh length. Colours: Black | Navy. Sizes: S | M | L | XL | 2XL | 3XL | 4XL. Enjoy the timeless style of our signature rugby shirt. A white twill collar and the JB’s placket complement classic colours for easy, everyday style. A crowd favourite. Detais: 65% Polyester for durability, and 35% Cotton for comfort. , Cut for a classic fit with ribbed sleeve cuffs and an internal contrast woven back neck dome, JBs concealed 2-button placket, 350gsm rugby knit fabric, Straight hem with side splits. Colours: Black/White | Maroon/White | Navy/White | Red/White. Sizes: 4 | 6 | 8 | 10 | 12 | 14. Timeless slim fit style signature rugby shirt for every dayc wear and comfort. A crowd favourite. Detais: 95% Cotton for comfort, and 5% Elastane for stretch. , Slim fit features an open, button-less placket. , Tailored waist, Side splits. Colours: Navy/White. Sizes: 8 | 10 | 12 | 14 | 16 | 18. Enjoy the timeless style of our signature rugby shirt. A white twill collar and the JB’s placket complement classic colours for easy, everyday style. A crowd favourite. Detais: 65% Polyester for durability, and 35% Cotton for comfort. , Cut for a classic fit with ribbed sleeve cuffs and an internal contrast woven back neck dome, JBs concealed 3-button placket, 350gsm rugby knit fabric, Straight hem with side splits. Colours: Black/White | Red/White | Maroon/White | Navy/Denim | Navy/White. Sizes: S | M | L | XL | 2XL | 3XL | 4XL | 5XL. An enduring style for relaxed corporate or casual wear, this classic fit rugby shirt features a contrast twill collar. 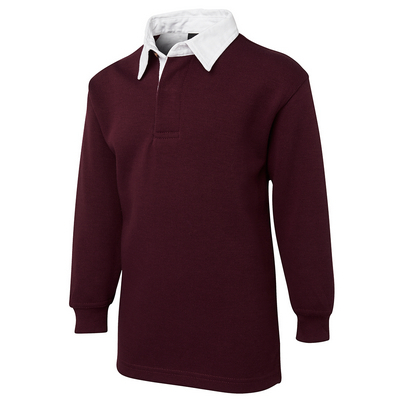 Timeless rugby shirt. 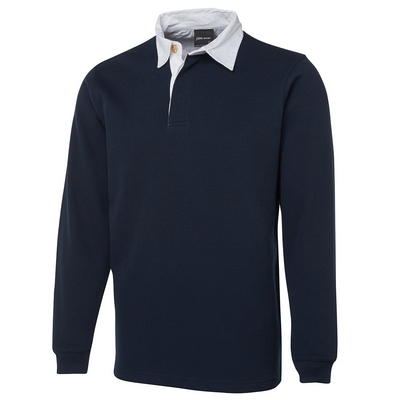 Detais: 65% Polyester for durability, and 35% Cotton for comfort, 350gsm rugby knit fabric, JBs concealed 3-button placket, Internal contrast woven back neck dome, Straight hem with herringbone trimmed side splits, Rib cuffs. Colours: Black/Black | Black/Red | Navy/Red | Navy/Navy | Navy/Gold. Sizes: S | M | L | XL | 2XL | 3XL | 4XL | 5XL. 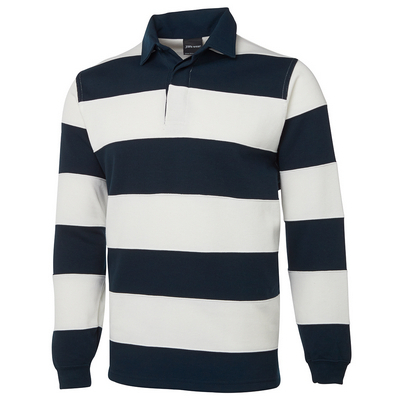 A wardrobe staple, this striped rugby shirt is cut to a classic fit and features a twill collar. Lasting style. 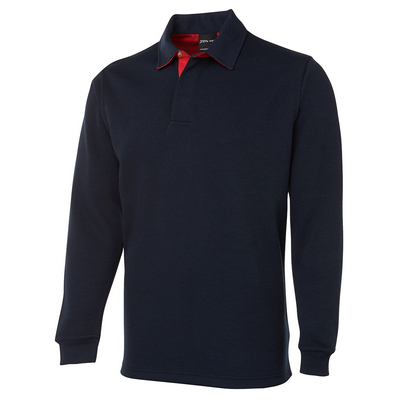 Detais: 65% Polyester for durability, and 35% Cotton for comfort, 350gsm rugby knit fabric, JB’s concealed 3-button placket, Internal twill back neck dome, Straight hem with side splits, Rib cuffs. Colours: Navy/Red | Navy/White. Sizes: S | M | L | XL | 2XL | 3XL | 4XL | 5XL. Complete your outfit with our Podium Cricket Pant. Featuring a comfort fit elastic waist and two side pockets for added convenience, plus wide turn up at the leg for easy alteration. Features: UPF Sun Protection, UPF Compliant. First class cricket pants. Detais: 100% Polyester, 230gsm fabric, Front pintucks, Complies with standard AUS/NZS4399:1996 for UPF protection UPF 50+. Colours: White. Sizes: S | M | L | XL | 2XL. Our basketball apparel is great for one-on-one training or team uniforms. Shorts are fully lined and feature an elastic waist to ensure a comfortable fit. Shoot hoops in style. Detais: 100% Polyester for durability, 140gsm mesh fabric. Colours: Black | Bottle | Maroon | Navy | Royal. Sizes: S | M | L | XL | 2XL. 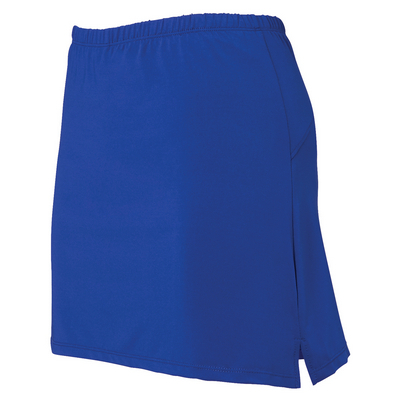 A great choice for team sports, our Podium urban fit skort features an elastic waist skirt, with built-in fitted stretch shorts for extra coverage. Available in girls and ladies sizes. Compete with confidence. Detais: 90% Polyester for durability, and 10% Elastane for stretch, 220gsm Jersey knit fabric, Hidden utility pocket inside at waist, Contrast colours feature contrast piping at side seams. Colours: Black | Red | Bottle | Navy | Royal | White. Sizes: 8 | 10 | 12 | 14 | 16 | 18 | 20 | 22. 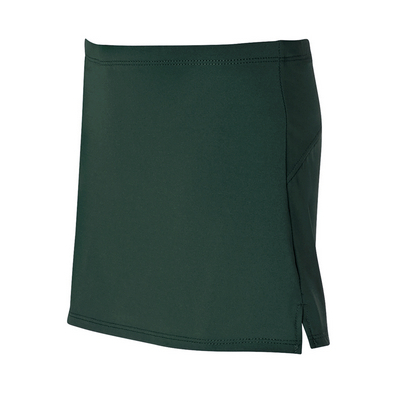 A great choice for team sports, our Podium urban fit skort features an elastic waist skirt, with built-in fitted stretch shorts for extra coverage. Available in girls and ladies sizes. Compete with confidence. Detais: 90% Polyester for durability, and 10% Elastane for stretch, 220gsm Jersey knit fabric, Hidden utility pocket inside at waist, Contrast colours feature contrast piping at side seams. Colours: Black | Red | Bottle | Maroon | Navy | Royal. Sizes: 4 | 6 | 8 | 10 | 12 | 14. Practical and stylish, these athletic-looking sports shorts are cut to a classic fit and feature contrast piping down side seams. Classic sports shorts. Detais: 100% Polyester for durability, 125gsm satin backed microfibre knit, Side splits at leg opening. elastic waist, Cut to a mid-thigh length, with an internal waist pocket with zip closure. Colours: Black/White | Bottle/Gold | Navy/White | Royal/White. Sizes: 6 | 8 | 10 | 12 | 14 | 16 | 18 | 20 | 22. Classic style and fit sports short features contrast piping down side seams. Classic sports shorts. Detais: 100% Polyester for durability, 125gsm satin backed microfibre knit, Side splits at leg opening, Elastic waist, Cut to above the knee, with two side pockets and one back pocket. Colours: Black/White | Bottle/Gold | Navy/White | Navy/Gold | Royal/White. Sizes: S | M | L | XL | 2XL | 3XL | 4XL | 5XL. Great for athletic wear, these classic fit shorts offer the right balance of comfort and coverage, allowing you to focus on your training. Versatile sports shorts. Detais: 100% Polyester for durability, 125gsm satin backed microfibre fabric, Two slant side pockets and one hip pocket with zip closure, Side splits at leg opening, Elastic waist, Above knee cut. Colours: Black | Bottle | Grey | Maroon | Navy | Royal. Sizes: S | M | L | XL | 2XL | 3XL | 4XL. Designed to complement all Podium team jackets, these classic fit sports pants are the perfect option for warm ups and cool downs. Selected colourways feature contrast piping down side seams. Relaxed comfort. Detais: 100% Polyester, 125gsm satin backed microfibre fabric, Fully lined with mesh and taffeta, Two front welt pockets with stitch detailing, Zip leg openings, Elastic waist. Colours: Black/White | Black | Dk Red/White | Bottle | Bottle/Gold | Grey | Navy/Dk Red | Navy/White | Navy | Navy/Gold | Royal. Sizes: S | M | L | XL | 2XL | 3XL | 4XL | 5XL. Mens Short Sleeve 3 Tone Rugby Top. 240gsm - 65% Polyester, 35% Cotton. White drill collar and herringbone placket. Side splits with matching twill tape at the hem. Colours: Navy/white/sky. Sizes: S - 3XL. Description: The Heathered Cable Knit is always stylish. Suitable for a range of applications from casual to sporty.. . Size: . Colours: Black Heather | Grey Heather | Navy Heather. Decoration Areas: Embroidery | Supasub. Adults CoolDry Soccer Jersey. 170gsm - 100% Polyester. Wicks moisture away from the body. Lap-over collar. Contrast colour. Raglan sleeves. Double needle hemmed sleeves and bottom. Colours: Black/red, Black/orange, Black/white, Bottle/gold, Maroon/white, Navy/gold, Navy/red, Navy/sky, Navy/white, Red/white, Royal/white, Sky/navy, White/navy. Sizes: S - 3XL. Kids CoolDry Soccer Jersey. 170gsm - 100% Polyester. Wicks moisture away from the body. Lap-over collar. Contrast colour. Raglan sleeves. Double needle hemmed sleeves and bottom. Colours: Black/red, Black/orange, Black/white, Bottle/gold, Maroon/white, Navy/gold, Navy/red, Navy/sky, Navy/white, Red/white, Royal/white, Sky/navy, White/navy. Sizes: 6K - 14K. Mens Long Sleeve Rugby Top. 350gsm - 65% Polyester, 35% Cotton Gussets under arms to provide extra comfort. White drill collar & herringbone placket. Colours: Black/white collar, Navy/white collar. Sizes: XS - 3XL. 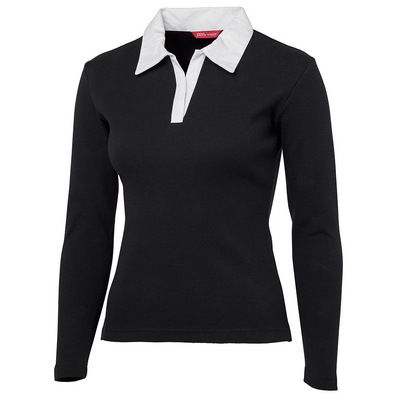 Ladies Short Sleeve 3 Tone Rugby Top. 240gsm - 65% Polyester, 35% Cotton. White drill collar and herringbone placket. Side splits with matching twill tape at the hem. Colours: Navy/white/sky. Sizes: 8 - 18. Mens Long Sleeve Rugby Top. 240gsm - 65% Polyester, 35% Cotton. White drill collar and herringbone placket. Side splits with matching twill tape at the hem. Colours: Navy/white/sky. Sizes: S - 5XL.